We have exciting news! Multi-size Paper and print shop PDF patterns are now available for selected styles! More on that later, though. This September check out the gorgeous new McKenzie Set. This discounted two-pattern bundle allows you to create the fabulous McKenzie look at home. 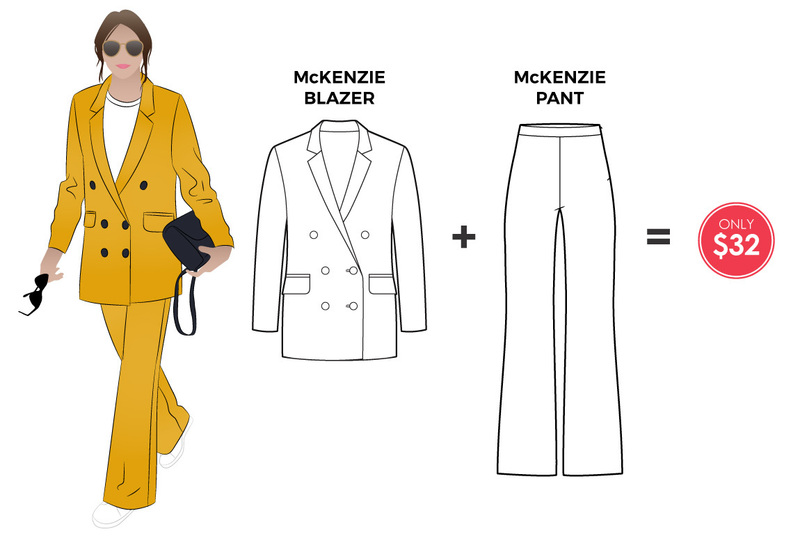 Included in the discounted bundle is the McKenzie Woven Pant and McKenzie Woven Blazer. Buy them as a set or buy them separately, the choice is yours! When it comes to tailoring the silhouette is all about the slouch, bringing a bohemian feel to even the smartest suits. This long-line McKenzie Woven Blazer pattern includes a full lining pattern but it is designed so that it can be made without a lining if you choose. 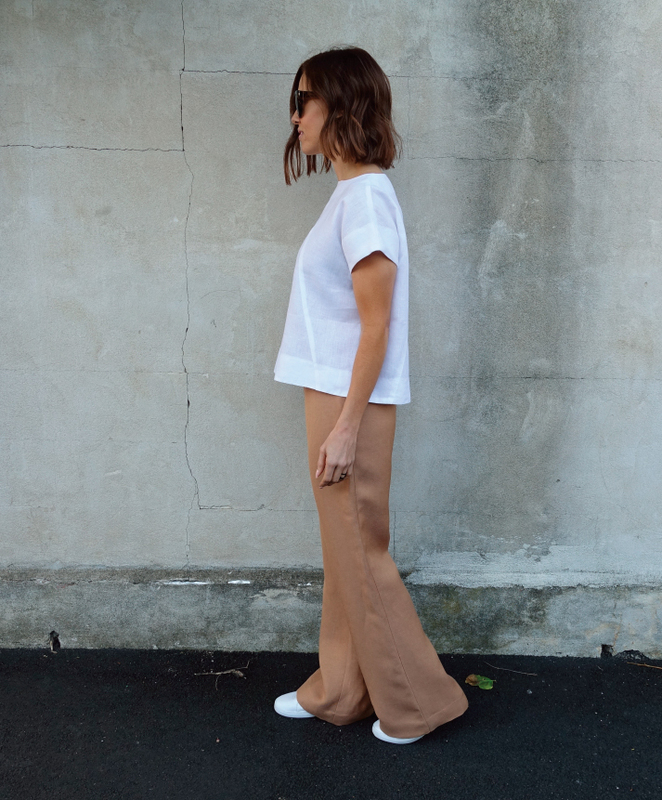 The on-trend McKenzie Woven Pant is a soft falling pant with a slight flared leg and shaped waistband. Wear them long for the on-trend look right now, or shorten them to your personal length. Don’t forget that you get a choice of two free patterns when you shop at www.stylearc.com. This month you have the choice between the gorgeous new Almy Woven Top or the Annika Top. Just shop as usual, then add a freebie to your cart and click the coupon to get your freebie pattern for free! We have some very exciting news! Multi-size Paper and print shop PDF patterns are now available for selected styles. We have over 150 styles available as multi-size paper patterns. Each size is printed in a separate colour. You can choose from size 4-16 or 18-30. Just shop as normal and select "Multi-Size Hard Copy"! It's that easy. Click here to see which styles are available.